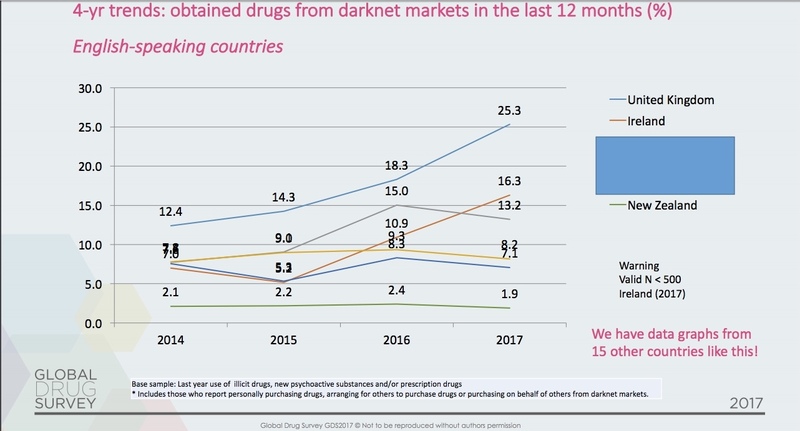 The findings of the 2017 Global Drugs Survey were released this week, which gathered data from 115,000 people around the world. Although, by looking at the demographics (and additionally considering that taking the survey requires having Internet access), we can see that this by no means represents the experiences of all drug users, worldwide, the results provide many interesting insights into drug use and the differences between different types of drugs. Only 17% of people would like to see the government being the vendor in a regulated cannabis market, with 45% preferring private companies and 38% preferring not-for-profits. Despite higher purity cocaine being more widely available, there has been a doubling of the number of UK cocaine users being admitted to A&E in the last two years. Dr. Winstock believes that the most important takeaway from this is that we need to change the way we talk about drugs and open up discussion with drug users. 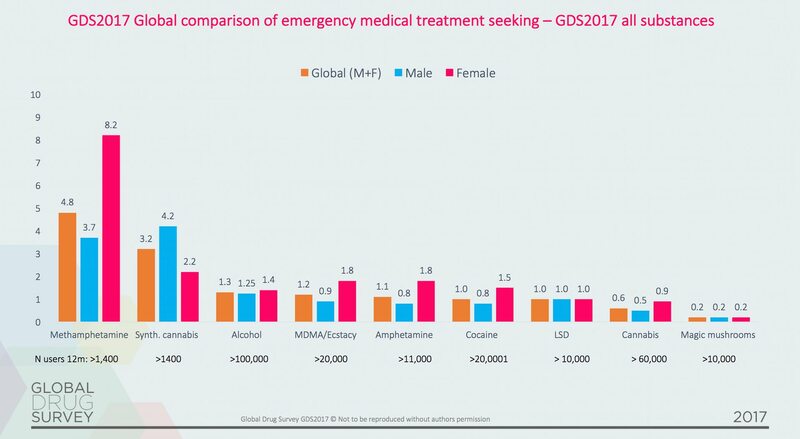 As opposed to cocaine, the figures for people seeking emergency medical treatment after taking MDMA or ecstasy in the UK actually dropped from 1.2% last year to 0.8% this year (despite the total worldwide going up). Only 0.2% of people who had used psilocybin in the past year went for emergency medical treatment. Of course, this finding must be taken into context. For example, it is a drug that people tend to use far less frequently than cannabis, for which an an average of just 0.6% of consumers sought out emergency medical treatment. Additionally, the setting in which people use magic mushrooms would usually differ drastically to the one in which most people would use methamphetamine, for which the highest proportion of people sought emergency medical treatment. “For many Europeans, cannabis is a gateway drug to tobacco as many people are first exposed to tobacco when they smoke their first joint,” explain Ian Hamilton and Dr. Winstock. 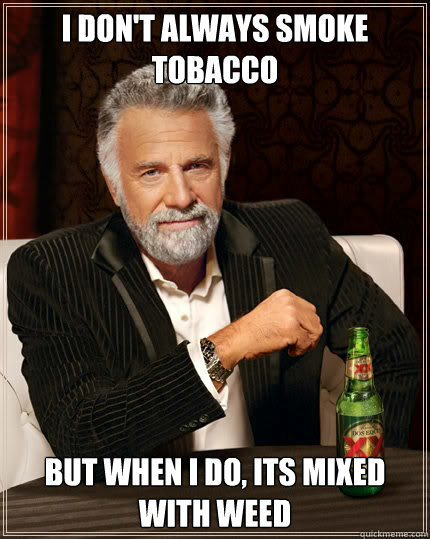 Up to 90% of Europeans are mixing their cannabis with tobacco, as opposed to only 8% of respondents from the USA. “In terms of public health the close association of tobacco with cannabis needs to become a focus of public heath intervention,” Winstock told us, adding that on this point the UK should be looking to follow the example of Canada and the US. The ‘cultural disdain’ for combining cannabis with tobacco in North America may also be due to the wider range of cannabis products available (legally and illegally) as well as a larger interest in vaping, which has been shown to be less harmful than smoking. The most important takeaway from this year’s survey? A lot of people use drugs. “Governments need to embrace the reality that treating people who use drugs as adults who care for themselves and others is a smart way to move forward and help save lives,” Dr. Winstock explains. We are learning new things about drugs and their use every day, and everyone will benefit from more open discussion about drugs.